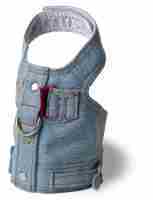 This Biker Vest Style Dog Harness by Doggles is made for your little boy biker doggie. 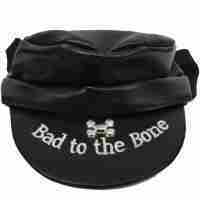 This is not for the shy and timid type. Check out the cool Skull and Crossbones Charm on the ring! 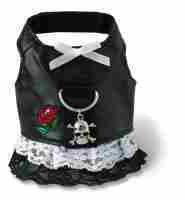 It's an outfit and walking harness all in one! What more could you want? Give your little guy a little edge while walking down the street in this cool biker Vest. 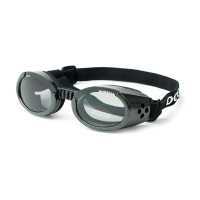 The harness strap closes with secure hook and loop tape for an easy fit. 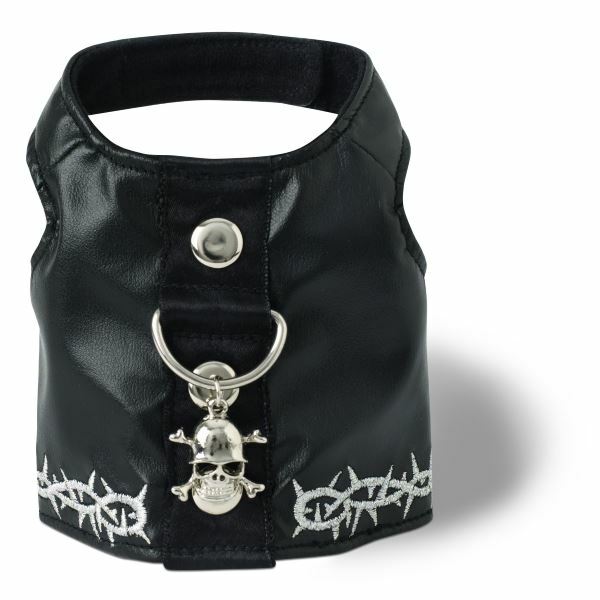 The Biker Vest Style Dog Harness has a solid D ring for leash attachment.